LINK group is a leading multinational company with more then 15 years of success in professional education and certification in the fields of information technology and contemporary business. It is successful in Serbia, Bosnia and Herzegovina, Romania, Ukraine and the United States of America and through distance learning it brings together students from over 120 countries worldwide. 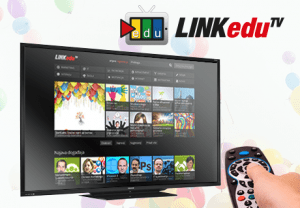 With a view to raising the awareness of the importance of education, LINK promotes technology in education and digital literacy of the 21st century. As a regional leader in distance education and edu apps, and a global pioneer in the development of educational software for online education, LINK group has assisted students from all over the world to fulfil their professional goals through e-learning. LINK group has developed a unique learning method – Architecture of Knowing, which helps in acquiring and mastering the knowledge from chosen areas, several times faster and more efficiently than it usually takes. Using all available technologies, individual learning methods, in accordance with preferences, previous experience, learning style and available time, the learning process is different for everyone, intensive and high-quality, enabling every individual to, upon completion of education, present knowledge and skills in the business world in the most adequate way and lead a successful career. The key habit in life of every professionally accomplished expert is continuous tendency toward personal development and constant, lifelong learning. 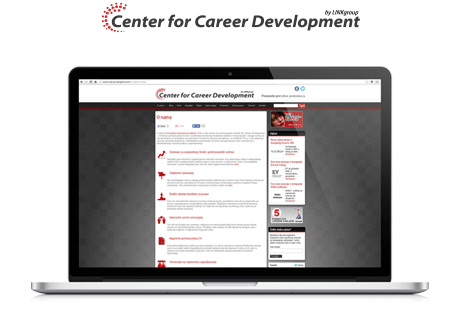 In LINK's Center for Career Development, in order for the idea of lifelong learning to be implemented, there's assistance to students during and after their schooling regarding starting and advancing their career, as well as constant support in professional development. LINK group's mission is more than knowledge transfer. It is rather oriented towards preparing students for future professional challenges. This is the very reason why we have developed a great number of useful service and programmes for honing skills. For students to stand out on the job application list, we have prepared the Personal Development Programme, where they can improve transversal skills, needed for any job. Moreover, the students have an opportunity to start their career with the LINK group, as part of the LINK Apprentice Programme, while those with an entrepreneurial spirit, can find support in LINK Business Incubator. LINK group has accomplished another great feat in their efforts towards continuously improving the quality of education. Namely, they have developed the first distance learning app for Android devices. Thanks to this application, students can access the distance learning platform at any time as well as follow their lessons, use the multimedia learning materials, contact their teachers and much more! Education is no longer bound by spacial constraints. It is now available to everyone, no matter where they are in the world. LINK group has initiated the establishment of the first educational television in the region, with the contents oriented towards marketing, IT, economics, management, career counselling, entrepreneurship, motivation, design, success as well as pieces of primary and secondary school curriculum. LINKeduTV is yet another pioneering project which sets high standards in education. The 12-channel programme is available 24/7, offers an entirely different view on educational matters. One of the LINK group's organisational units is oriented towards software development, planning and maintenance - SoftLINK, which along with the internal business support, provides services to the external clients in terms of software solutions for diverse internet business and information systems. The business quality of LINK group and its units is also confirmed by the partnerships and certifications granted by the most influential global companies and educational institutions- Microsoft, Apple, Adobe, VUE, Prometric, Cambridge International Examinations - as well as the accreditation by the Serbian Ministry for Education, Science and Technological Devleopment. LINK group’s education system comprises eight educational institutions in Serbia: ITAcademy, BusinessAcademy, InternetAcademy, Information Technology School – ITS, Information Technology High School – ITHS, International School Savremena, Faculty of Contemporary Arts and OKschool. In Romania, there are LINK Academy and BusinessAcademy, with two schools in Bucharest and Timișoara. Centres in Bosnia and Herzegovina are located in Sarajevo, Banja Luka and Trn (Laktaši), housing ITAcademy, BusinessAcademy and ITEP – IT, Economics and Entrepreneurship School. LINK Academy is also present in Ukraine’s Kiev and Lviv, while LINK Academy and BusinessAcademy in Moldova are located in Chișinău.